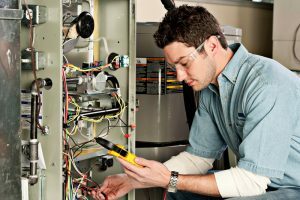 When your furnace needs repairs, there’s really nothing you should do except call up a professional trained in furnace repair in Avon, OH. Since furnaces deal with heat and fire, it’s too risky to try and tackle the problem on your own. That’s why you need a certified and licensed professional from the beginning. If you don’t believe us, we’ll list a few of the worst ways you could try to have your furnace fixed—and why they’re the worst. With all those friends on social media, surely you or a mutual friend must know some handyman out there who has worked on a furnace before. We don’t doubt that kind of logic—and that’s precisely why we don’t think this is a good idea. We have no doubt you’ll find an amateur just clamoring to make your furnace into their next DIY project. A voided warranty on your furnace. Damaging a part of the furnace, causing it to become a serious problem later on down the line and needing more expensive repairs. Increased risk of a safety issue developing. One of the worst possible repairs you can try to DIY in relation to your furnace is the gas lines themselves. Due to the inherent danger of a leaking gas line, we simply cannot condone having this type of service done by anyone but a licensed professional. If you’re smelling a gas leak near your furnace or while operating your furnace, the best thing you can do is turn off the furnace and call for help immediately. Attempting to fix the problem with less-than-professional experience can result in a bigger problem down the line. The worst part about this HVAC faux pas is that we’ve heard of actual HVAC technicians trying to pass this off as real work. After all, cracked heat exchangers can create carbon monoxide leaks, which are deadly if not prevented with a functioning carbon monoxide alarm. Of course, problems don’t just fix themselves. The most troublesome part of this is that you might actually get used to running the furnace in this state since it hasn’t stopped working. Meanwhile, that problem could be developing into something serious while creating a massive spike in your heating bill. Got a furnace problem that you really need to get around to have serviced? Contact Westland Heating & Air Conditioning today to request an estimate.